You ever feel like you were doing just ok? Like, things are good...not great, but good? Comfortable, because everything is alright - but somehow, you're not quite satisfied? And while I've made (and continue to make) decent progress toward my 2016 goals, I feel like I never really flipped the switch - almost like I stumbled my way through to June. Sure, I met some goals along the way, but it doesn't feel like I worked hard at it. Not that my goals were too easy - but more like some blessings just unexpectedly fell in my lap (thanks, Jesus! On the real, we're literally halfway through 2016 and I'm ready to flip the switch! So here I am, launching #30DaysofDope to get myself in high gear and experience what it's like to operate in dopeness for 30 days straight. I'm intimidated. I'm scared I'll fail. But I'm ready to do it afraid. It's no secret that I am a child of God, and Jesus Christ is my Lord and Savior. But lately, I've been feeling the need to re-root myself in His word. So for the next 30 days, I'm spending intentional time with God - reading, praying, journaling, and doing my absolute best to live His word. My spiritual goal for 2016 was to let my light shine before others, that they may see my good deeds and glorify my Father in heaven (Matthew 5:16) - and I'm keeping that at heart as I embark on this phase of my spiritual journey. By the way, if you have any recommendations for a dope devotional that runs for at least 30 days, please drop it in the comments below! My #EveryDayFitness Challenge taught me a lot. Primarily that by not setting smart goals, you'll set yourself up to fail. It also taught me that you can't out-exercise a bad diet. My intentions were noble, but the idea of working out every single day is not sustainable. I work a full-time, 40 hour per week job. I blog and work on independent projects outside of work. I have a fiance that I very much love and enjoy spending time with. Ditto for family. I'm involved in my church, I love cooking, I clean and maintain our (albeit, childless) house, and I like to go out and have fun. I'm a regular person, with fifty-leven other things to do besides live in the gym. I have fitness goals, fasho. But I'm not (nor will I ever be) one of those folks who's obsessed with fitness to the tune of working out 3 times per day, and meal prepping asparagus and sweet potatoes every week. So for the next 30 days, I'm committing myself to 4 days of legit cardio and weight training, and 1 day of fun activity a week. That breaks down to being active 5 out of 7 days a week, with one of those days involving something fun like golf, tennis, bowling, walking in the sand at the beach, or heck - even gardening! Oh, and I hate asparagus. So, remember what I said a few lines back about not being able to out-exercise a bad diet, and not being about that asparagus and sweet potato life? Yeah, I gotta work on that. But asparagus is not a part of the plan, I can tell you that much. Ever since Samuel and I moved in together, I've found myself cooking a lot more - which I love. And the meals aren't too terrible either. I never fry anything, I don't believe in white flour (King Arthur flour or bust), I converted Samuel to unsweetened almond milk (hey Califia), and I make spaghetti with brown rice and quinoa pasta from Trader Joe's. I can make anyone a believer in kale, and my baked wontons are so crunchy, you won't miss the grease. 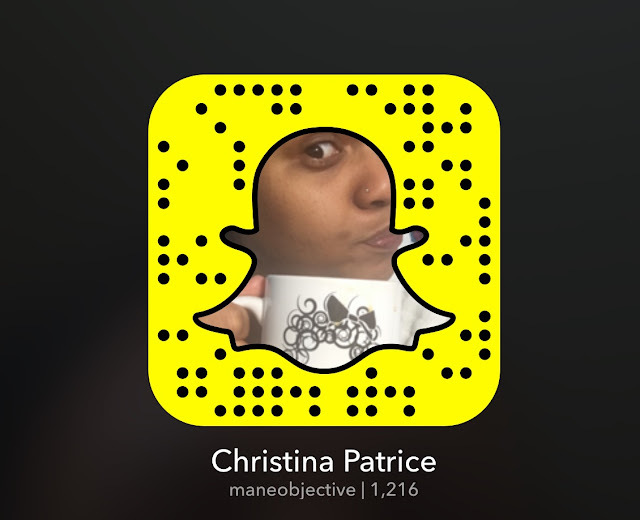 Sidebar: I often share my culinary exploits on Snapchat, so add me there. Developing a healthier relationship with sugar. Meaning, keeping "bad" sweet treats to a minimum (something small, like once a week), and minimizing my sugar intake during the week. When it comes to success and achieving goals, I know that 80% of it is mindset and believing that you can. The other 20% is putting in work. Thanks to having a dope boss who cares about my personal development, I've spent 2016 reading (and finishing!) a new book every month. So needless to say, I'll be keeping that trend of challenging myself mentally in that area going. But the other part of being mentally dope is being mindful of the messages I send to myself. So for the next 30 days, I'm going to eliminate the phrase "I can't" from my vocabulary when speaking of my own capabilities. I'm also killing off any sort of deprecating or negative self-talk. Because I can do all things through Christ who strengthens me, and all things are possible for those who believe. Now, here's the next part. Although I'm doing this challenge for myself, I've got a few of my closest framily (yes, framily) joining me. And they're all outlining their own personal definitions of what it means to be dope for 30 days. But guess what? You can join me too! If you're down to challenge yourself to be the best version of yourself for the next 30 days, then head on over to 30daysofdope.com. I just launched the site (literally, last night), but you can drop your e-mail in and sign up to be on the list. That way we can talk, support each other, and navigate through 30 days of pure, unadulterated excellence - together. 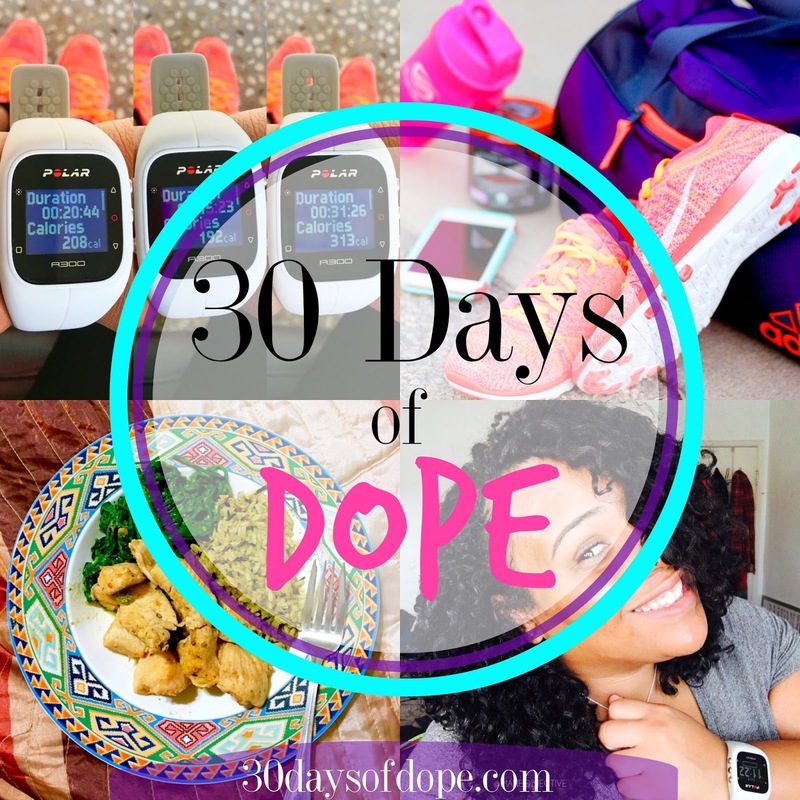 #30DaysofDope officially launches Monday, June 20th 2016 and ends July 19th, 2016. With that being said, I'll be sharing reviews, recipes, testimonials, my experiences, and more over at www.30daysofdope.com, and checking in with you all weekly (on Mondays) over here at The Mane Objective. You can also follow me on my new dedicated Instagram account @30daysofdope - and if you participate, use the #30daysofdope hashtag! I'm looking forward to sharing this journey with you. Let's be dope together!